Stephin Merritt is the main energy source of The Magnetic Fields. Coming from Boston this multi-instrumentalist changes musical styles almost daily, but the bulk of his work is still in the categories synth pop, indie pop, noise pop and - more recently - folk pop. 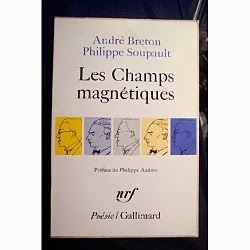 The Magnetic Fields are named after a surrealist novel by André Breton and Philippe Soupault, Les Champs Magnétiques.